1. 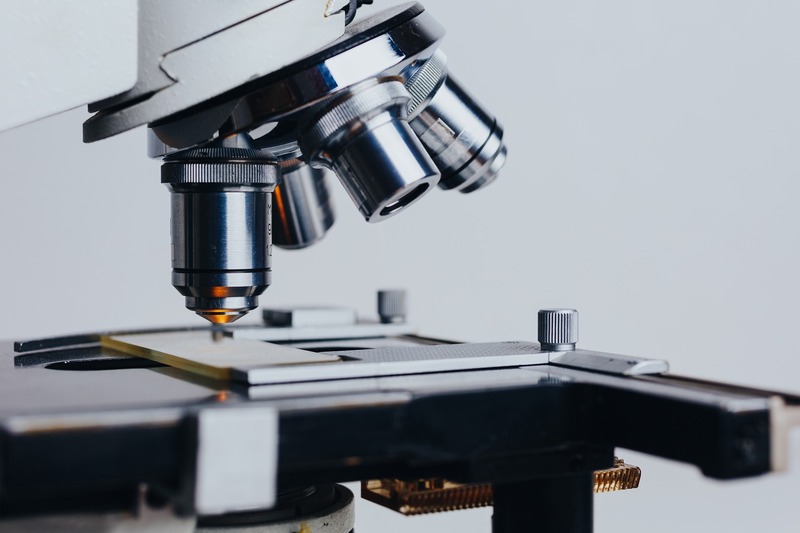 A light microscope is also referred to as a? 2. The two knobs used for focusing the image include fine adjustment knob and? 3. On the microscope stage, what is used to hold the glass slide in place and prevent it from moving? 4. Total magnification is the product of two values: power of eyepiece and power of? 5. Which part of the microscope should you hold when lifting or moving the microscope? 6 Transmitted light microscope has a light source below the stage while a reflected microscope has a light source that is located? 7. A stereo microscope is used to? 8. The objective lenses are the ones? 9. Which of the following is not a type of light microscope? 11. Which of the following are low power lenses? 12. Which part of the microscope contains the shutter that regulates the amount of light entering the lens system? 13. Where is the diopter located in a microscope? 14. A microscope is set to 10x eyepiece and 40x objective. What is the total magnification? 15. What purpose does the rack stop play in a microscope? 17. Which part of the microscope are objective lenses attached? 18. Which of the following liquids can you use to make a wet mount?